Dead Poets Society. . Wallpaper and background images in the Dead Poets Society club tagged: dead poets society dps. 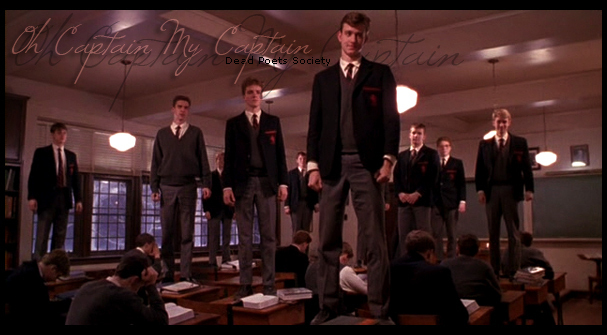 This Dead Poets Society fan art contains setelan jas untuk bekerja and setelan bisnis. There might also be jas, baju pakaian, setelan, perapi pakaian, konser, and brasserie. berwarna merah muda, merah muda hat in, tie out! Flying meja tulis, meja Set!